We take on orders of all sizes from 5 cupcakes to 5,000 plus orders. For a personalised cake, we have cake designers available on request to create a unique design for you. 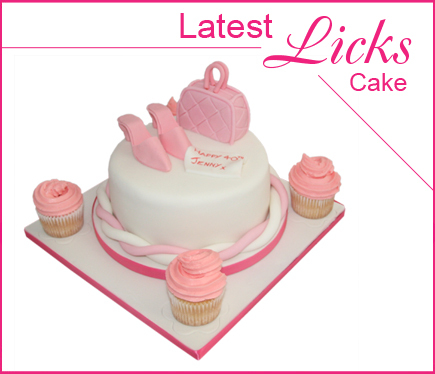 Please e-mail: info@lickscakedesign.co.uk or call: 01315579939 with portions needed and any theme or idea’s for your cake and we will get back to you with some design ideas. Minimum Orders: 6 cupcakes with a maximum of 2 different flavourings. The summer months are very busy. To avoid disappointment, we advise booking at least six months in advance. Celebrations cakes and cupcakes can be ordered at any time but please contact us as soon as possible. Preferably at least 2 weeks notice is advised. Licks Cake Design, Edinburgh Cupcake Wedding, Scottish Cupcake Wedding, Birthday Cupcakes, Celebration Cupcakes, Novelty Cupcakes, Anniversary Cupcakes, Giant Cupcakes. Special day and truly great tasting sweet and unique cakes. Christening Cupcakes, Baby Cupcakes, Children Cupcakes, Kid Cartoon Cupcakes, Music Cupcakes, Ceoliac, Gluten and Wheat Free Cupcakes, Dietary Cupcakes, scrumptious, 3D Sculpture Cakes. Edinburgh, Glasgow, Scottish Wedding, Mother Day Cupcakes.